England Women have their sights set on ICC World Twenty20 glory. Watch every match of the tournament on Sky Sports. England kick off their World T20 campaign on Saturday at a time when women's cricket is more present in the public's consciousness than ever and the pressure is reaching dizzying heights. But you would never know it talking with opening batter Tammy Beaumont. The 27-year-old is smiley and calm and speaks with impressive clarity and conviction. England's warm-up campaign for the tournament has not been ideal - one victory, two losses, one washout - but for Beaumont, the learning opportunities surpass the results in significance. "In terms of results, we probably haven't got necessarily what we wanted but in terms of the learning that we've got from each game and some really good signs, I think they're really useful to get used to conditions and get everyone a good run," she said. "I think adapting quickly out here [is key]. I think we've played on three very different wickets and you've kind of looked at it on the morning of the game and it's then played very differently. "So something we will have to do quite quickly is adapt to whatever we come up against and it's going to be a good challenge." The path to the competition has provided a platform for the debutants to find their places in the side - Linsey Smith and Kirstie Gordon both established themselves as key threats. The young bowlers have taken six wickets between them in the opening clashes, demonstrating that England will present just as good of a spin offensive as their challengers. "You always know coming here that spin is highly likely to be a really key part for the bowling unit," Beaumont said. "For Linsey and Kirstie to have really turned up the heat out here and turned up straight away on their first England tour is really good signs and hopefully you'll see one of them getting a debut in the next few days." Reigning 50-over World Cup champions England begin their quest for a historic double against Sri Lanka, live on Sky Sports Cricket from 7.30pm on Saturday. Followers will hope that Sri Lanka's shock warm-up loss to Ireland will blunt their confidence, but there will be no complacency from Heather Knight's side. "It's only a few years ago that they beat us in a World Cup in the 50-overs in 2013 so we certainly can't take them lightly, they've definitely got a lot of spinners here so if the wicket suits spin they've got that advantage" Beaumont continued. 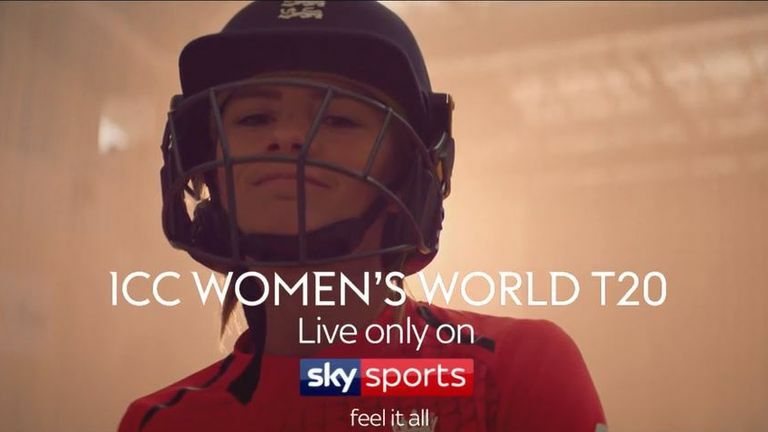 Watch every match from the ICC Women's World T20 live on Sky Sports.